Smooth over at My Jazz World just blew my mind. He's made a name for himself by ripping out-of-print vinyl jazz records, and I've been a subscriber (you should be too) since nearly the site's inception. Today, he dropped a true gem: Comin' at Ya! by Coke Escovedo. I'm not a fan of Escovedo (yet). To be honest, 'til today, I'd never heard his name before. But as I was listening to track three, I reached a euphoric state. You know when you find a sample not by effort, but by chance? 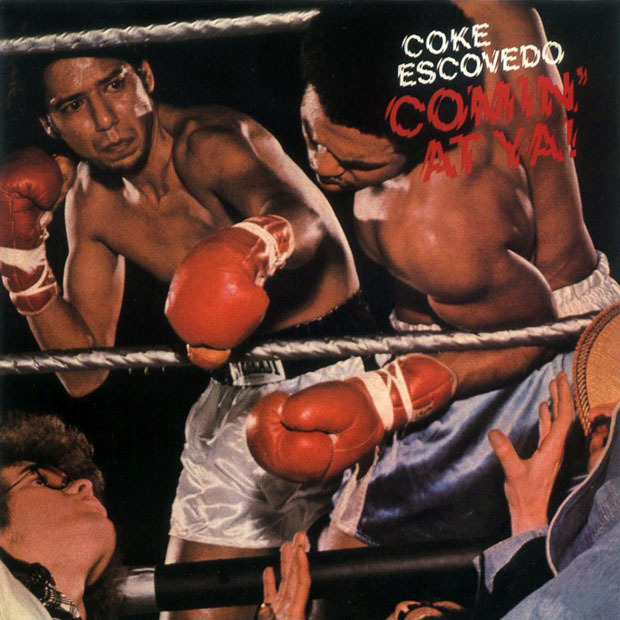 SAMPLE: Coke Escovedo - "I Wouldn't Change a Thing"
good looks on that site. Coke Escovedo (RIP): Sheila E.'s uncle.